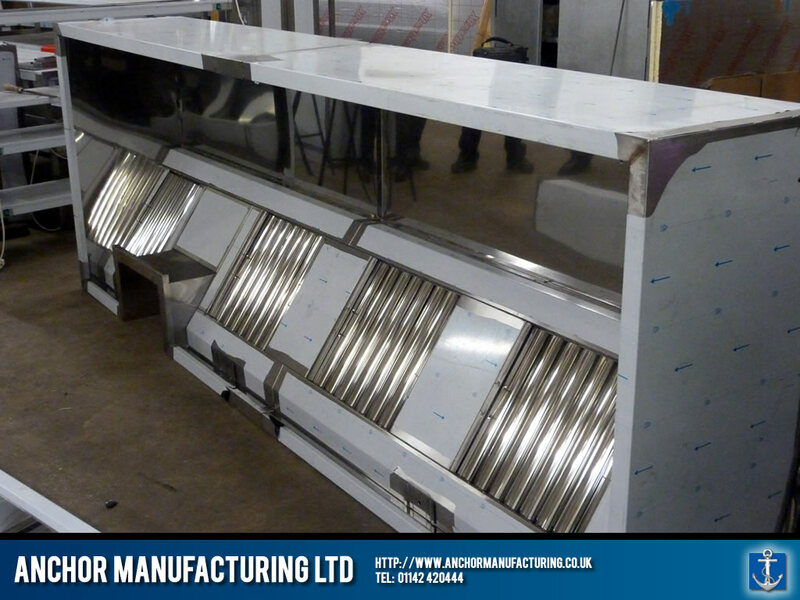 A Kitchen Extraction Canopy with a custom spine cutout. 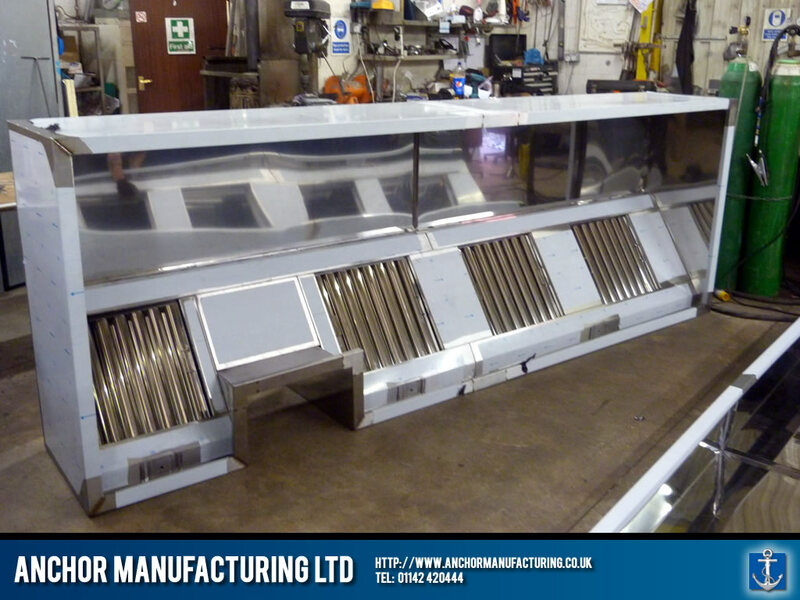 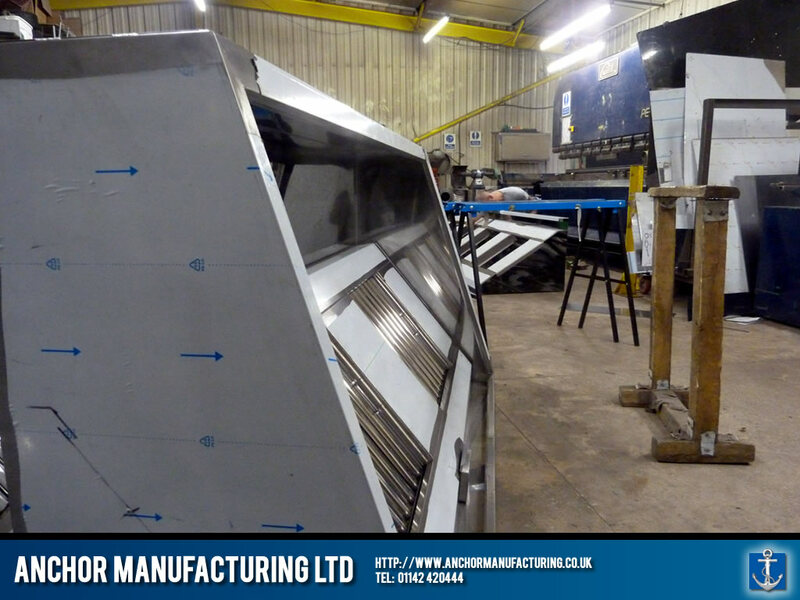 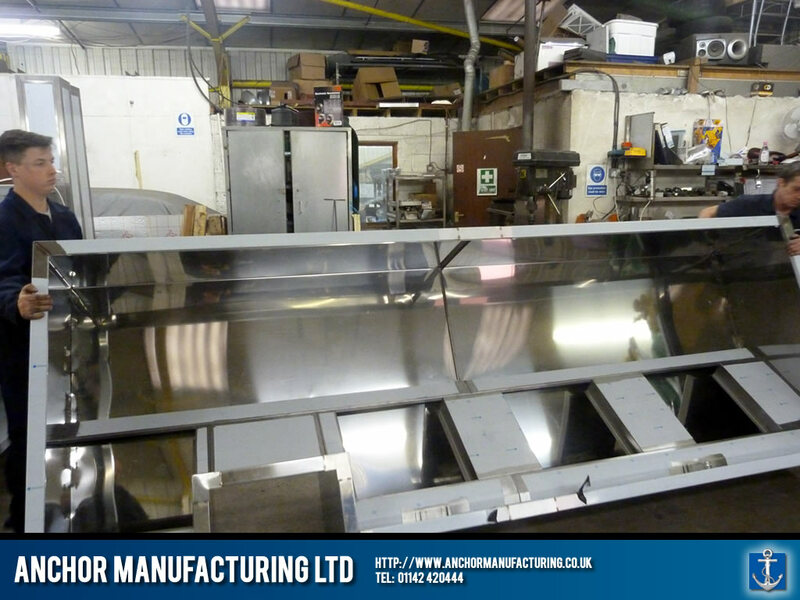 Anchor Manufacturing LTD fabricate a restaurant kitchen extraction canopy in Sheffield Stainless Steel. 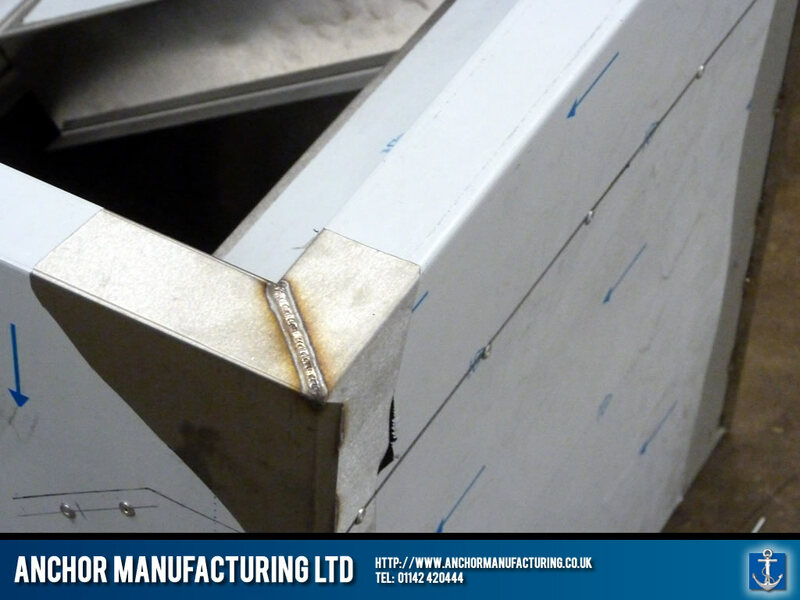 In this example, the kitchen canopy has a custom indent to the steel canopy frame allowing installation of the steel service spine. 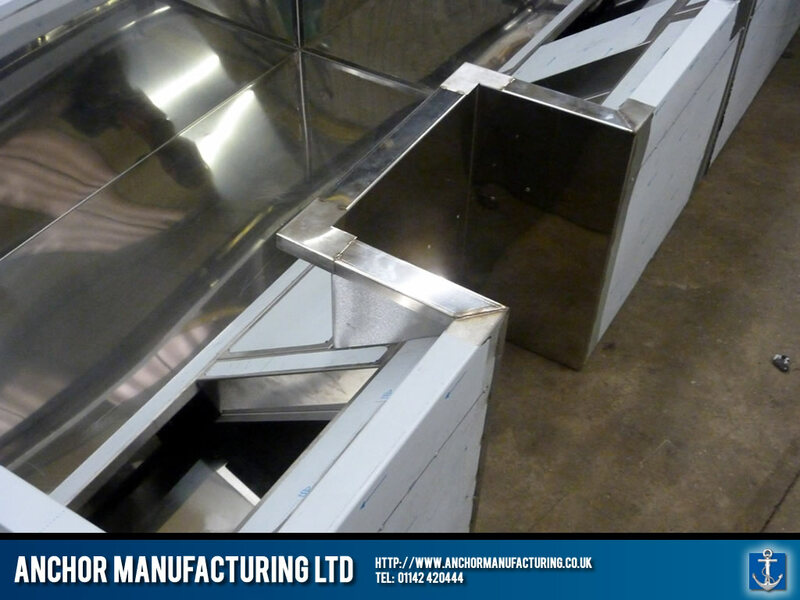 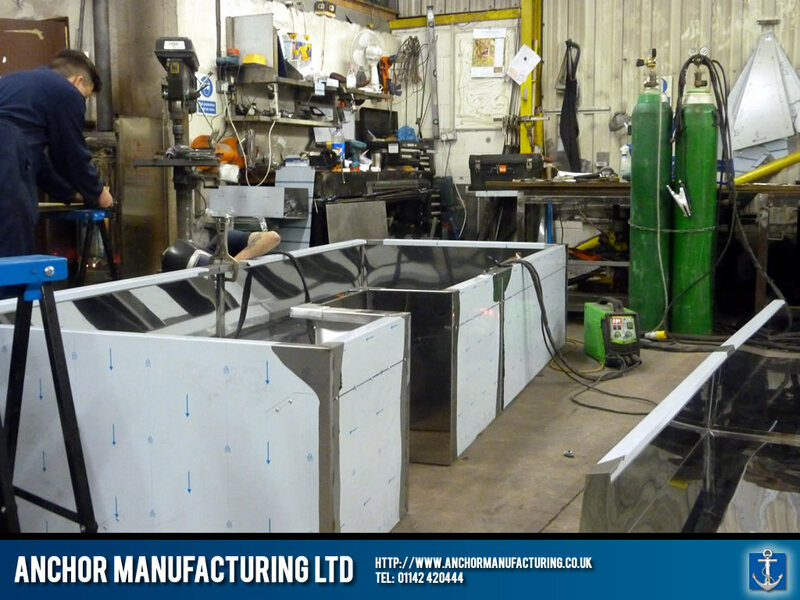 Another bespoke fabrication for another satisfied customer!